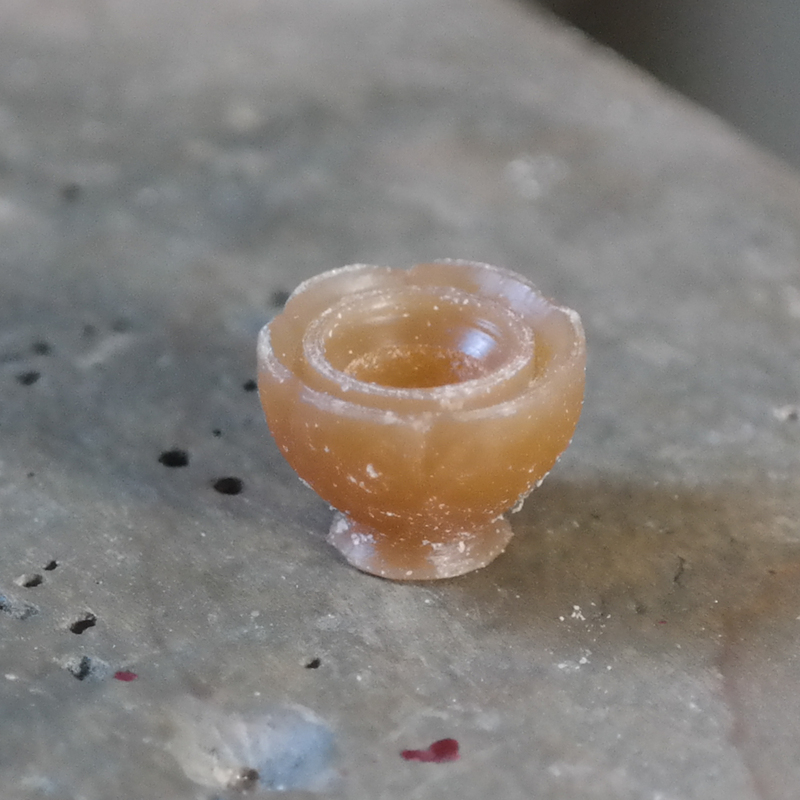 I recently decided to re-carve my little teacup charm from scratch. I carved my original a good few years ago and, being a wax-carving novice at the time, I made the setting edge too chunky. This meant that setting the little smoky quartz gemstone tea has always been a bit of a mission. This time I used Wolf gold wax, which you can carve fine detail into beautifully without compromising the strength of the wax. Wolf wax is a bit of a pain in the bum to get hold of in the UK, but it is well worth seeking out. I much prefer it to the hard green wax I'd been using. I think currently the only UK stockist is Cousins, who have a somewhat dubious approach to customer service, but hopefully more people will start to get it as it becomes more popular amongst wax carvers.